Last week, a college admissions scandal involving well-to-do families and elite colleges shocked and outraged the nation. But there’s an equally outrageous academic story that doesn’t get enough attention, and it’s been going on for years, too: The dismantling of trade programs at the high school level. When our children are young, we always tell them, you can be whatever you want to be. Yet, once they enter high school, academic and career paths are stacked against students who don’t want to pursue college and for whom trade programs would be a better fit. Some kids do more than just play with building blocks, they dream of a career in construction, but they aren’t given the tools to help them get there. Over the years, we’ve seen a rise in AP classes that cater to college-bound kids, but the same emphasis hasn’t been placed on getting students into the trades. And that’s more than a shame. In the construction industry, it’s actually bad for business. The construction industry is facing a skilled worker shortage in part because children who want to enter the trades aren’t given the opportunity to build those skills as an option in their high school curriculum. 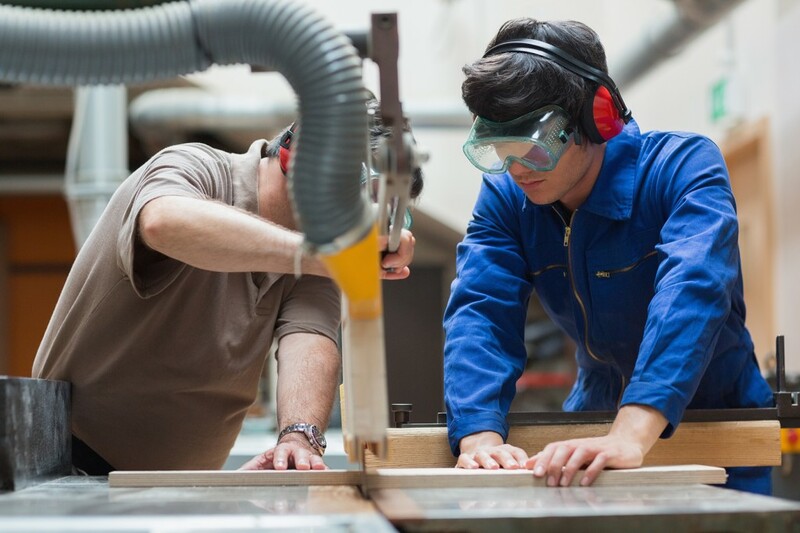 According to Build Your Future, the construction industry in Maryland alone faces a craftworker demand of approximately 148,000 skilled tradespeople through 2021. These are well-paying jobs that can help a forgotten portion of high school students achieve the American dream. House Bill 1134 hopes to start changing that by authorizing a county board of education to offer an elective course in fundamentals of construction in schools under the jurisdiction of the county board. ABC supports the bill because we believe that all high school students, regardless of whether they attend a school with a CTE program, should have some level of exposure to the construction industry. Offering the CORE curriculum developed by the National Center for Construction Education & Research as an elective in every public high school is a good start. We believe that all students upon high school graduation should be fully prepared to secure a job that is personally satisfying and pays enough to support a family. We take special interest because our profession is aging. It is very important that a new generation of talented young people is prepared to take their places in trades that are highly productive and well-paid. By helping high school students learn what the construction industry has to offer we can start to change the perception that only college is a worthy postsecondary education and career objective. We hope you’ll enthusiastically support H.B. 1134. The four Maryland ABC Chapters stand ready to be a partner in the implementations of the recommendations.